There is only one reason that I will run, and that is to evade zombies. However, I respect the dedication and motivation that runners exhibit. It takes a lot of determination to get out there and pound pavement day after day without getting bored, which is where Runtastic comes in. The popular service is expanding its reach to not only help you track your runs, but make them more fun too. On Thursday, Runtastic expanded its ecosystem of apps, services, and hardware with two new additions: Story Running and the Libra scale. The Libra is a smart scale that claims to measure not only your weight, but also your body fat, muscle mass, Body Mass Index (BMI), body water content, bone mass, and how many calories you should consume each day. Additionally, it can track the fitness goals of up to eight users, either on separate smartphones or all using the same device. Measurements and metrics are wirelessly synced to your Runtastic profile via Bluetooth Smart 4.0 to help provide you with a more full picture of your fitness. For now, the scale can only sync to iOS devices with Bluetooth 4.0, specifically the iPhone 4s and later, third-gen and newer iPads, and the iPad mini. 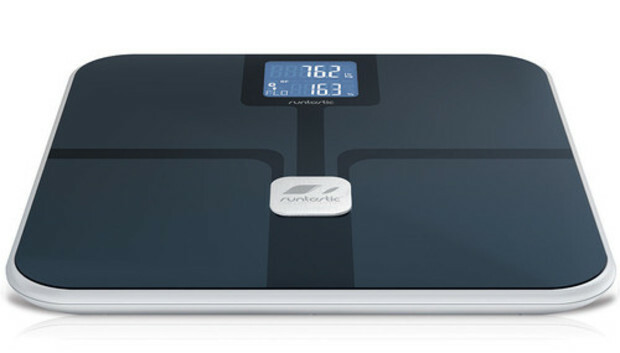 The scale, available for $130 via Amazon, gives Runtastic fans another piece of the fitness puzzle. The other piece, Story Running, is an in-app purchase in the main Runtastic app. Users get four story lines to run to, with the themes of travel, adventure, fantasy, and motivation. Designed to make running more fun, each story puts the runner into the role of the protagonist: In "Marvels of Rio," you're given an informative tour of the city as you run, and in "The Carrier of Truth--The Walls of Alcatraz," you're escaping from the infamous prison (no swimming required!). Each tale is accompanied by sound effects, and they're based on interval training, so the runner is given an extra push by naturally wanting to run faster during a chase scene, for example. It's a unique way to freshen up an exercise that can start to feel like a chore--and a good indication of where fitness companies will start to expand. Earlier this month, Runtastic also released Six Pack, a new app that provides users more than 55 exercises for sculpting enviable abs. The free app provides three levels of difficulty, or you can create your own custom workout, which can then be uploaded to Runtastic.com to track progress. With more and more simple pedometers and tracking apps crowding the market, companies who have already established themselves in the category will seek to offer more creative features and hardware that is well integrated to their software. These additional three offerings help Runtastic build a proprietary ecosystem, which helps users get more out of their apps and devices. And the Story Running component shows they're also willing to be inventive with that ecosystem.